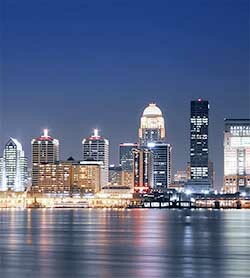 The International Center is currently headquartered in Louisville, Kentucky, USA. We assist organizations to create cultures of compassion, so that those within those organizations, the people they serve, and others throughout the world can more fully and effectively survive, thrive, and contribute. The International Center for Compassionate Organizations is a nonprofit organization1 registered in the Commonwealth of Kentucky, USA. The International Center focuses on fostering cultures of compassion in government, business, healthcare systems, service agencies, colleges and universities, schools, faith groups, and other organizations worldwide. The Center responds to the emerging trend among a broad range of organizations seeking to incorporate compassion as a value and practice in their relationships with their staff, colleagues, board members, customers, and communities. The Center develops practical research, resources, education, consulting, coaching, and conferences. It takes a nonpolitical, evidence-based, and public health approach, and assists organizations to effectively improve employee engagement, productivity, staff retention, profitability, and customer satisfaction. Defining the problem through the systematic collection of information about the magnitude, scope, characteristics and consequences of suffering. Identifying why suffering occurs using research to determine the causes and correlates of suffering, the factors that increase or decrease the risk for suffering, and the factors that could be modified through interventions. Finding out what works to prevent suffering by designing, implementing and evaluating responses. Implementing as well as training others to apply effective and promising interventions in a wide range of organizational settings. The effects of these interventions on risk factors and the target are monitored, and their impact and cost-effectiveness are evaluated. The Center began informally in Seattle, Washington in July, 2012 as the International Working Group on Compassionate Organizations. As interest and participation grew, the working group became more formalized and a website was established. The Center has functioned as an independent "working group" until 01 January 2014 expanding into a more comprehensive service organization. It is now a Kentucky nonprofit organization, headquartered in Louisville, Kentucky USA. The mission of the International Center for Compassionate Organizations is to assist organizations in creating cultures of compassion, so that those within the organizations, the people they serve, and others throughout the world can more fully and effectively survive, thrive, and contribute. We achieve our mission through innovative, practical, and cost-effective education, information, collaboration, research, and support programs. We take a nonpolitical/nonreligious, evidence-based, and public health approach as we work to effectively counter fear, ignorance, and superstition — the precursors of sorrow and suffering. In terms of the foundation of our work, we agree with the definition of compassion as being a motivation of authentic concern for another who is stricken by misfortune, accompanied by a strong desire to alleviate that suffering. For our organization, effective compassionate action requires courage, commitment, and competency. For more information on the definitions we use regarding compassion and suffering, please visit our Definitions page. Compassionate Action — Taking personal responsibility for alleviating and preventing suffering. Effectiveness — Moving beyond aspirations, intent and plans to concrete action creating tangible, measurable results. Connection — Cultivating a compassionate, patient, respectful, reverent, and authentic connection to others. Wisdom — Pursuing a thoughtful and heartfelt consideration of situations and options including the core purpose of the International Center for Compassionate Organizations, value to others, and tangible outcomes, tempered by appropriateness and timing in making decisions and taking action. Integrity — Acknowledging the power of one’s word to others; operating with head, heart and mouth in alignment. Responsiveness — Embodying a spirit of welcoming change, new horizons and the opportunities to effectively respond to the ever shifting needs of others. Responsibility — Practicing individual and organizational accountability in our works as we engage in actions that foster compassion throughout the world. 1. Classified as a 501(c)3 charitable organization by the United States Internal Revenue Service. 2. Based upon guidelines provided by the World Health Organization.